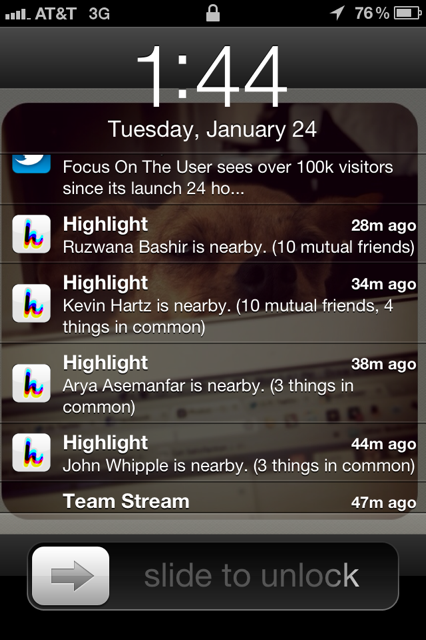 If you live in San Francisco, then you can be a part of the crowd who is beta testing the new iOS app called “Highlight“. The app is location-aware, meaning it constantly pings a server reporting your whereabouts to others, as well as alert you to those around you who are also using the app. 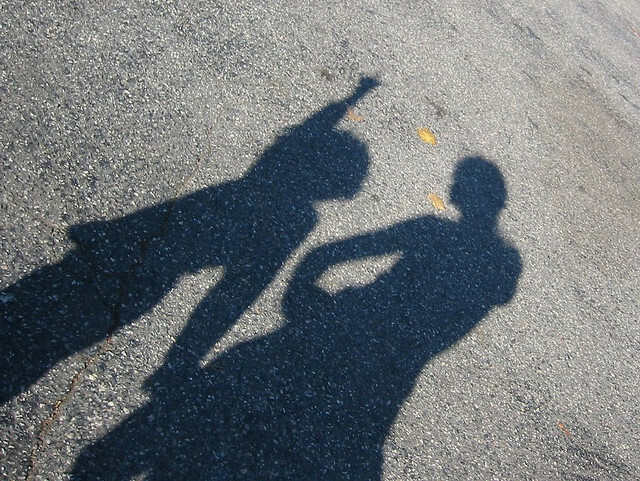 As you go about your day, Highlight runs quietly in the background, surfacing information about the people around you. If your friends are nearby, it will notify you. If someone interesting crosses your path, it will tell you more about them. Why would anyone actually choose to do this? I enjoy apps that push the boundaries of technology, I really do, but when people start creating fake problems just so they can solve them with an app or web service, it annoys me. There’s a reason why we refer to people as “strangers”. It means that you don’t know them and they don’t know you. Forcing yourself into some half-assed “serendipity” is completely odd. In fact, we’ve seen this app before and it’s called Yobongo. 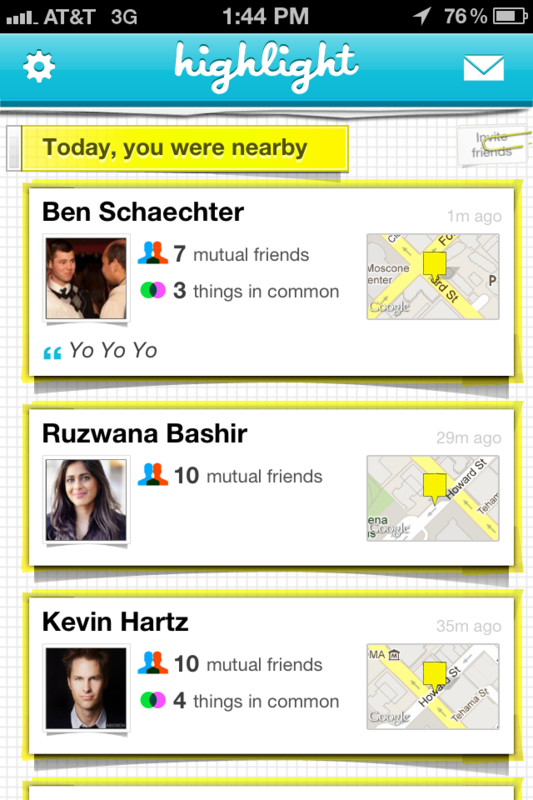 That app dumped you into a chatroom with a bunch of other people using it nearby, regardless if you knew them or not. It didn’t catch on, because it was weird talking to people you don’t know. I’m sorry, but this app screams “SXSW one trick pony”, as Yobongo did last year. When an app like Highlight is constantly running in the background on your iPhone, it’s not running “quietly”. It’s constantly transmitting data, and that causes a serious strain on your battery. I ran Highlight for a few hours yesterday, and it drained my battery at least 25% faster than it usually does. While the app is opt-in, meaning you don’t have to use it, it’s still pushing the boundaries of privacy that I don’t think this society is ready to push yet. Many of the people I follow on Twitter remarked that the results on Highlight were a “sausage fest” for them, meaning it was used mostly by dudes. There’s a reason for that, and it’s because there are a lot of odd people out there who don’t always have the best intentions. This app also screams “stalk me”. I am an avid user of Foursquare, and I’m aware that I don’t have to use the app and if I want to keep a check-in private, I can. Many times I don’t share where I am with the world, I’m keeping it as more of a log for myself. Highlight wants to follow you around all of the time, and I can’t think of ten people that I know who really want that. The app works. When people who were using the app were in my area, I got a push notification to let me know. If I open the app, I’m shown a history of people that were “nearby” while the app was in use. Highlight attempts to make these features useful by telling me what things I have in common with these strangers and what mutual friends we have. What I still can’t figure out is why is this helpful or useful? When I’m in line at Starbucks, I sometimes end up having a conversation with a stranger. It’s mostly a disposable conversation and no friendship comes out of it. At some bars, I know the bartenders really well and we chat for a while. It doesn’t mean that we’re going to visit each other on the holidays, though. I really think that location-aware apps are a few years away from being socially acceptable, let alone trustworthy. I often say that technology doesn’t replace face to face conversations, and it doesn’t. I also don’t think that technology should be used to create serendipity at the expense of sharing our location 24/7. The ability to be socially-aware is being lost by society. Highlight is a cool “gee-whiz” app, which is impressive the first few times you use it. After that it just feels weird having it on all of the time. Do you really want to be sitting down at dinner with someone and have them say “So and so just walked by!”? No, it’s weird and it’s rude. Our attention is already pulled in a hundred different directions, and there’s some awareness that isn’t necessary and shouldn’t become necessary simply because we have the technology to fill in the blank. Highlight gives you a sixth sense about the world around you, showing you hidden connections and making your day more fun. It’s a sixth sense that I just don’t need, and while people watching can be fun, I don’t really need to strike up a conversation with everyone who steps foot in my half-mile vicinity.